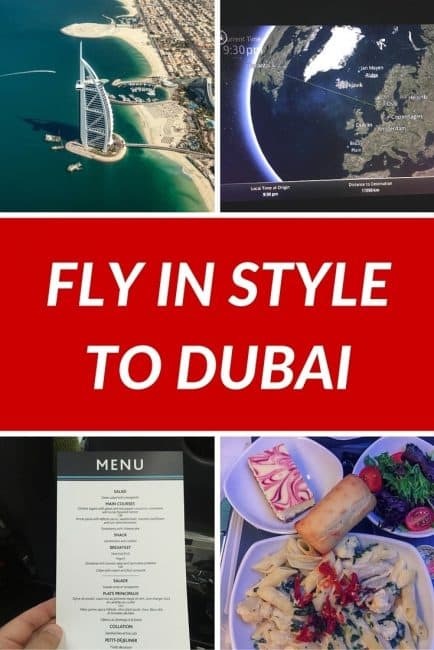 A lot of people will say that you must fly to Dubai with one of the Middle Eastern Airlines to really do it in style. 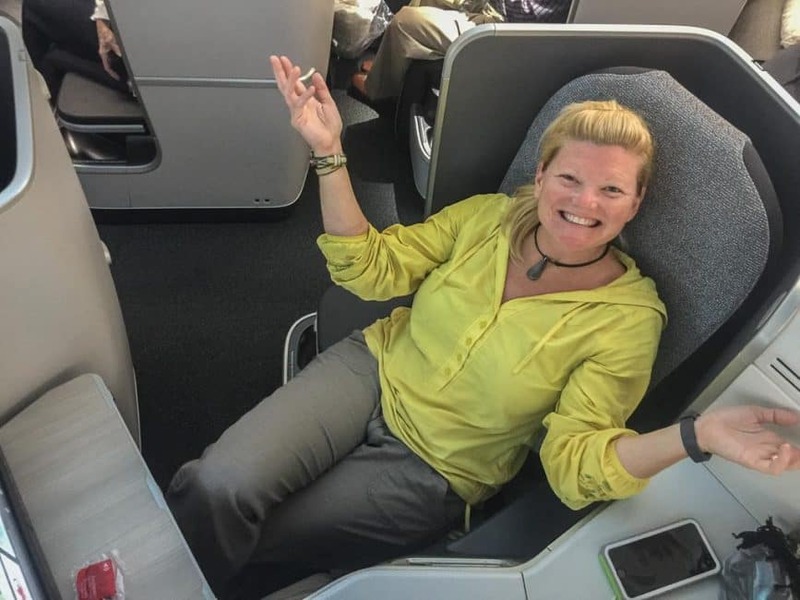 We admit, we have flown these airlines and have even managed an upgrade or two on them, but I would like to set the record straight, that you can enjoy luxury and comfort on Air Canada. 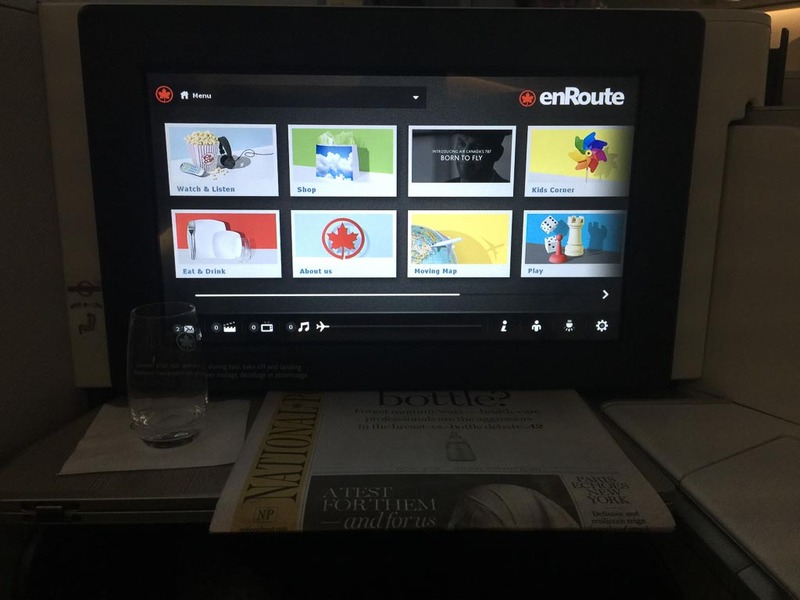 We know because we had the chance to sample both business class and premium economy on our direct flights to and from Dubai from Toronto on the Dreamliner 787..
Air Canada now has direct flights from Toronto Pearson to Dubai International Airport and it is already hugely popular. As part of the Star Alliance Network, Air Canada is a great option for Canadians and international travellers. 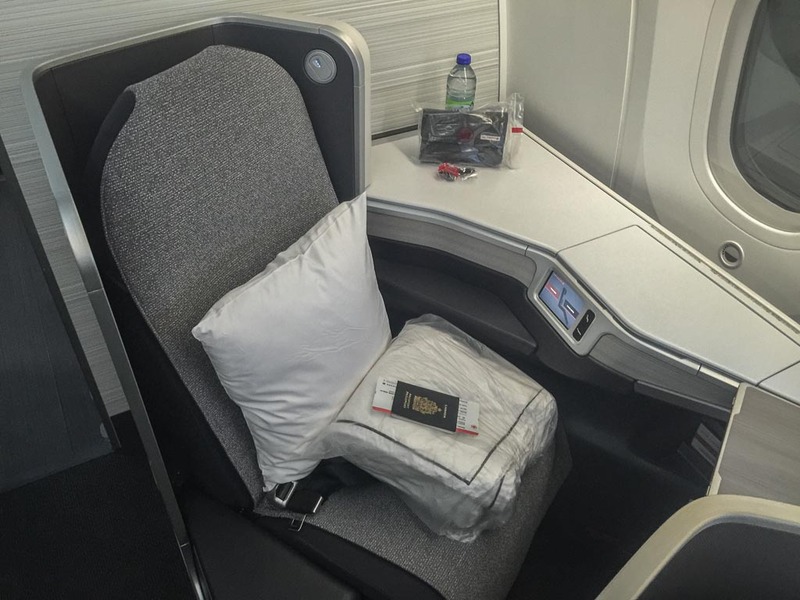 U.S. customers can earn MileagePlus points (United customers) on Air Canada flights that serve over 50 US markets. Instead of connecting through the States, you can take a short hop over to Toronto instead of connecting through the busy New York, Chicago, or Atlanta hubs. 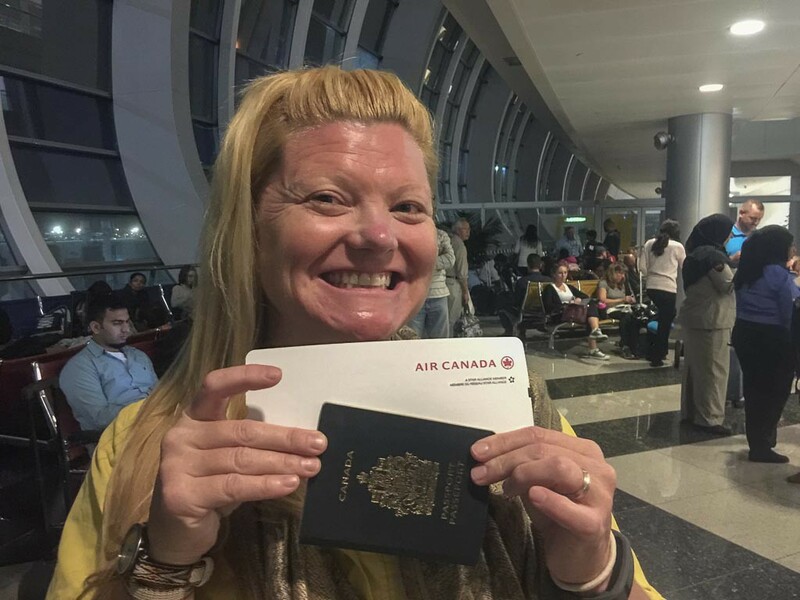 We flew to Dubai on premium economy with a bunch of other Canadians who spent time together in the Air Canada lounge before the flight. It seemed that everyone in the lounge that evening was flying to Dubai. Even the lounge attendant mentioned that the flight was very popular this evening. Sitting in the lounge is a great way to start a trip. With free food, beverages and premium wifi, it's the perfect place to relax or catch up on work. You can even have a shower to freshen up if you desire. When boarding the plane recognized each other and gave friendly nods of hello and how are you? 10 days later, we were back on the plane flying home and noticed that everyone was coming back on the same flight as us. I feel that this could only happen in Canada, but while standing in the departure lounge of the Dubai airport, all of us started talking. We recognized each other from the way there and everyone was smiling talking about what a great time we had in the city. It seemed that all of us were waiting with baited breath to see if we made the upgrade list so we were hovering around the counter. 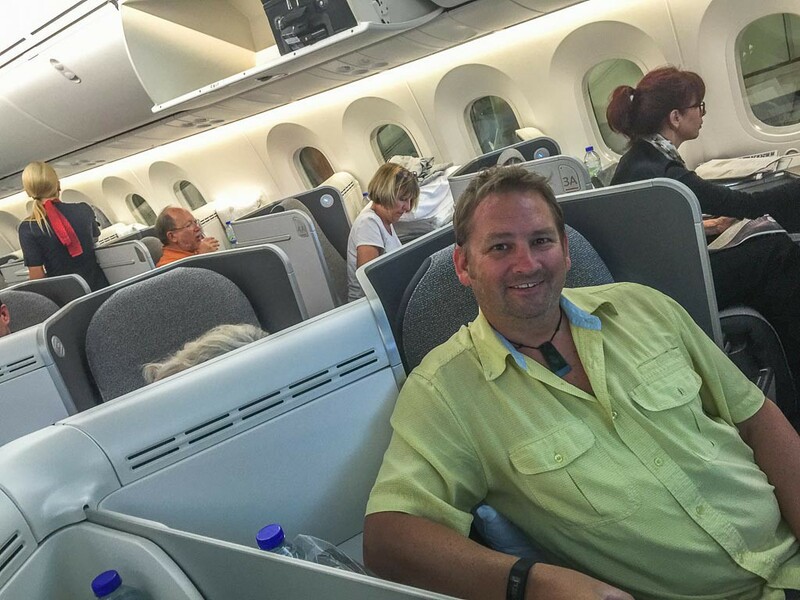 We flew back from Dubai in Business Class! Good news! Everyone of our newfound friends were upgraded to business class and we were ready to enjoy the next 14 hours in style. Since our seats were last minute upgrades, we were all scattered throughout the cabin. Typically Canadian, we offered up seats to each other to let everyone sit together. Within a few minutes, we were all happy and settled in. I will admit, there were a lot of “sorry's” being said and apologies being made to the flight attendants for our seat changes. But they just smiled and made their changes to the flight plan like nothing happened. In business class, the flight attendants have a passenger list. When your seat is assigned, they introduce themselves and talk to you by name. Whenever they come around they say things like “Mrs. Corbeil, what would you like for dinner tonight?” Mr. Bouskill, would you like an orange juice or sparkling water before we take off?” It's really quite civilized. 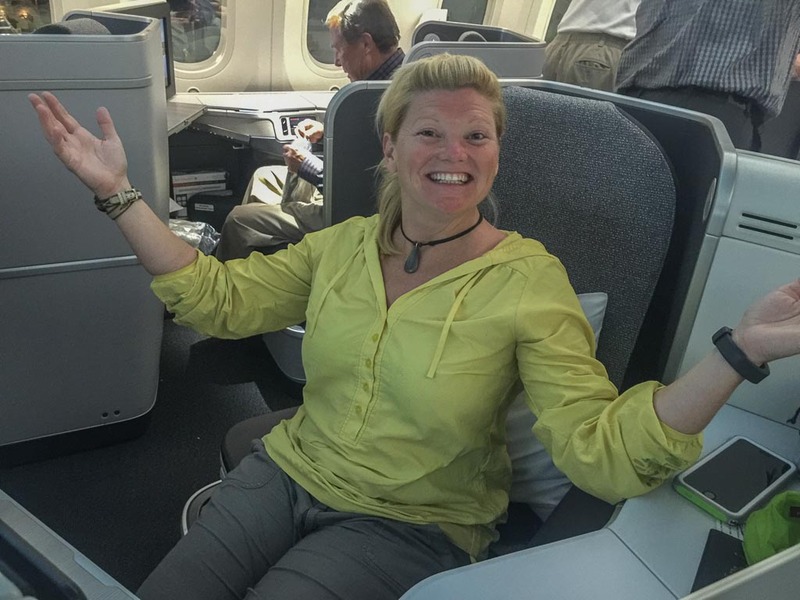 Being the new 787 Dreamliner, we were very excited to give business class a try. The Dreamliner is a larger and roomier airplane and you can feel the difference the moment you board. 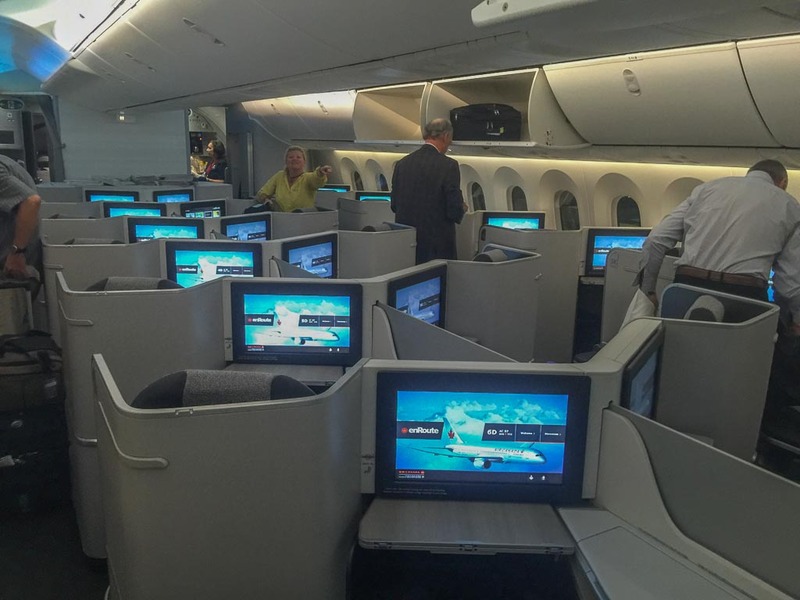 Even the economy class has more room than the usual flights, so you can imagine how luxurious business class is. 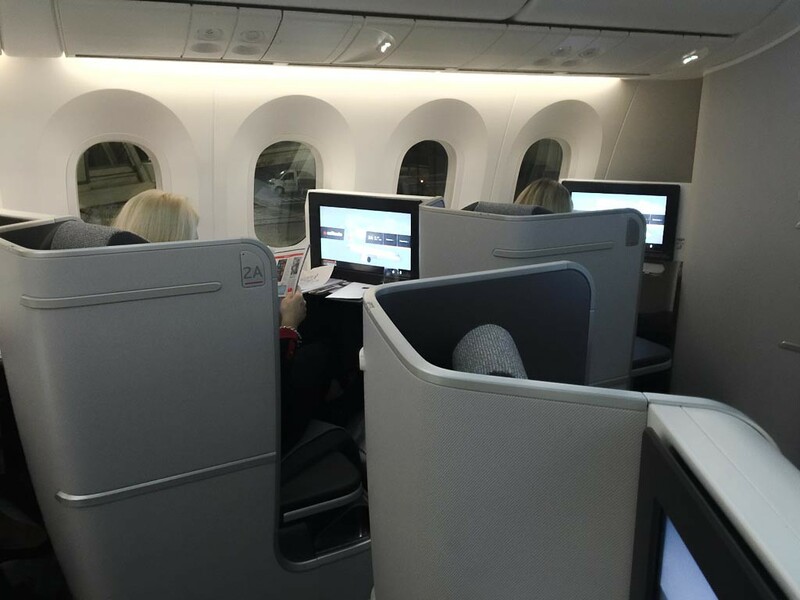 The pods in business class on the Dreamliner are huge. We had full size TV screens, wide seats that recline completely into a bed and the square shape offered a lot of privacy. Once we arrived, we were given a choice of refreshments and reading material. Dave and I were taking pictures like mad and nobody looked at us like we were crazy at all. I tell you, it's a Canadian thing. On other flights, we have felt embarrassed documenting business class because we feel that we have to act cool for school. But this flight had a levity about it. Everyrone was in a great mood! 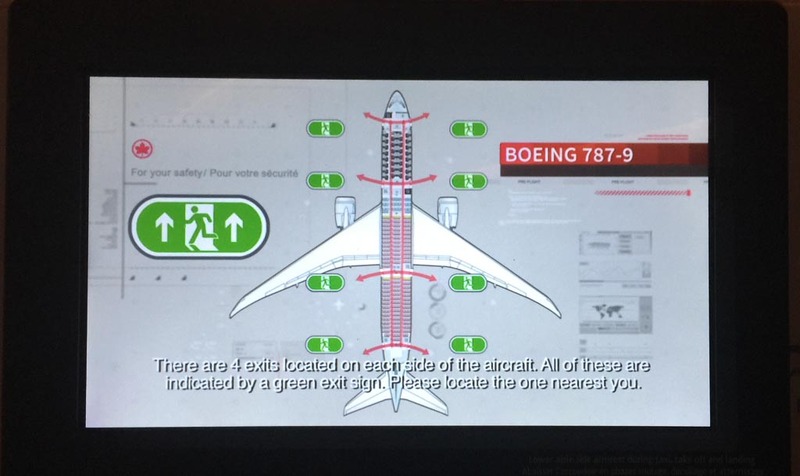 Air: The 787 Dreamliner has better air than other planes. It filters the air inside the cabin and pulls in fresh air from outside. 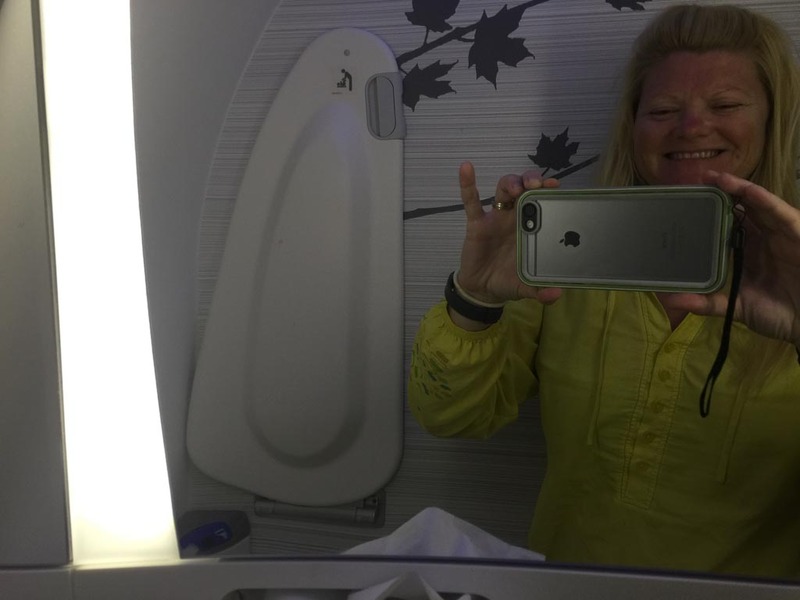 I always suffer from dry sinuses on flights, but not on this one. If you care about the environment (and you should) you'll be happy to know that the Dreamliner fleet may be larger, but they are also more aerodynamic their new engine technology reduces emissions and fuel economy. Windows are 33% larger making the cabin feel roomier. I love the new electronic dimmer control that allows you do dim your windows while still being able to see outside. It's not just about having windows open or closed, you can now have them dimmed. 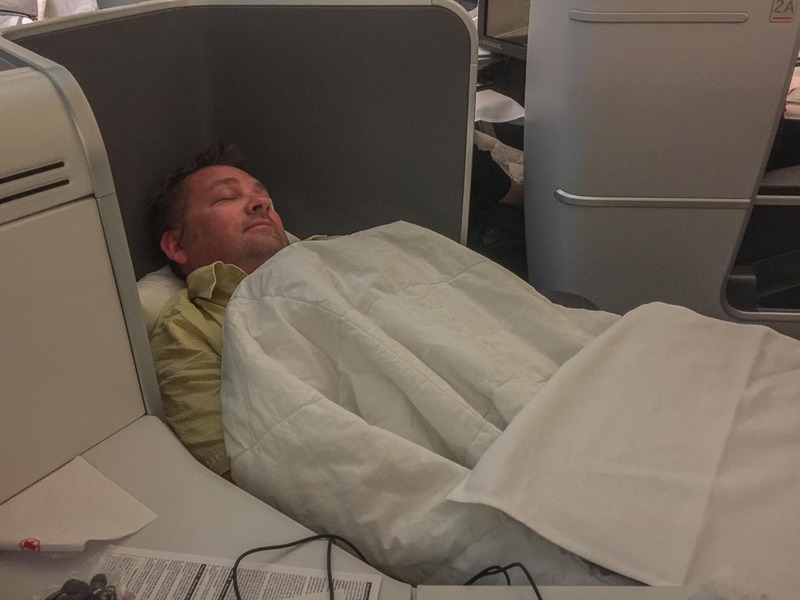 If you have ever flown business class, you will know what I mean when I say it's hard to go back to coach. We don't get the opportunity to fly it all the time, but when we do, we relish every minute. Your vacation truly starts the moment you arrive at the airport. With priority check in, lounge access and priority seating, you are truly treated like a movie star. While others stood in line at the busy Dubai airport, we breezed through the Elite status lounge and were relaxing in the lounge in no time. The Air Canada Lounge in Dubai was under construction when we were there, so we didn't spend too much time listening to the hammers and saws at work, but I am sure that it will be ready to go in no time. After all, Air Canada is a new, in demand flight coming into the city. We didn't have to wait long until our flight and when we started boarding, all the business class personnel boarded the plane first. When flying business class, you have an overhead entire compartment to yourself. You don't have to scramble for a spot. There is also plenty of room in your pod for personal items but you really don't need to stow anything close by. Everything you need is supplied. There is even a care package with lip balm, hand creams, socks and eye masks for comfort. There is a bottle of water supplied for you to sip on even thought the flight attendants come around regularly with drinks and a very comfortable duvet and fluffy down pillow are supplied to make your sleep as comfortable as possible. Need help with air travel? See our Seven Tips for Stress Free Travel. The meals service is out of this world. When dining in business class you feel like you are dining in a five star restaurant. 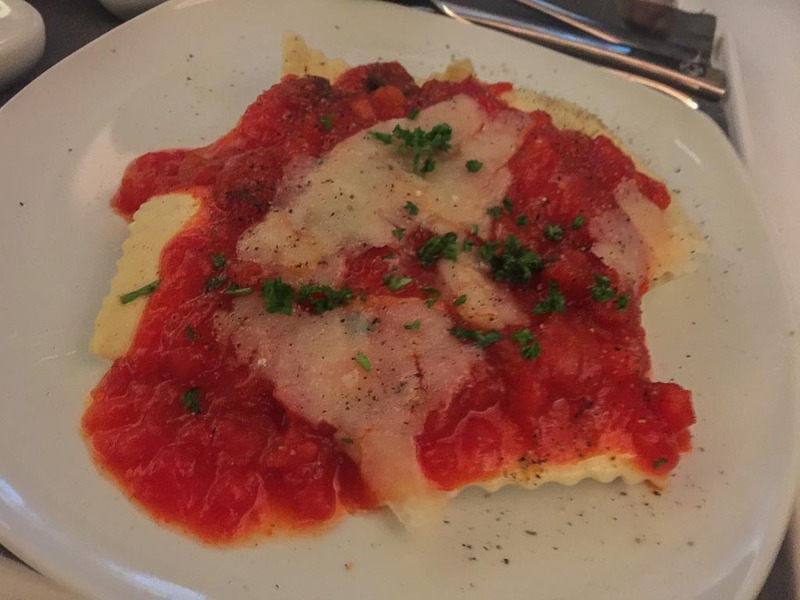 And with good reason, The food in both the international lounges as well as the meal service available in premium economy & business classes on flights departing from Canada are part of the new menu created by Canadian celebrity chef David Hawksworth. 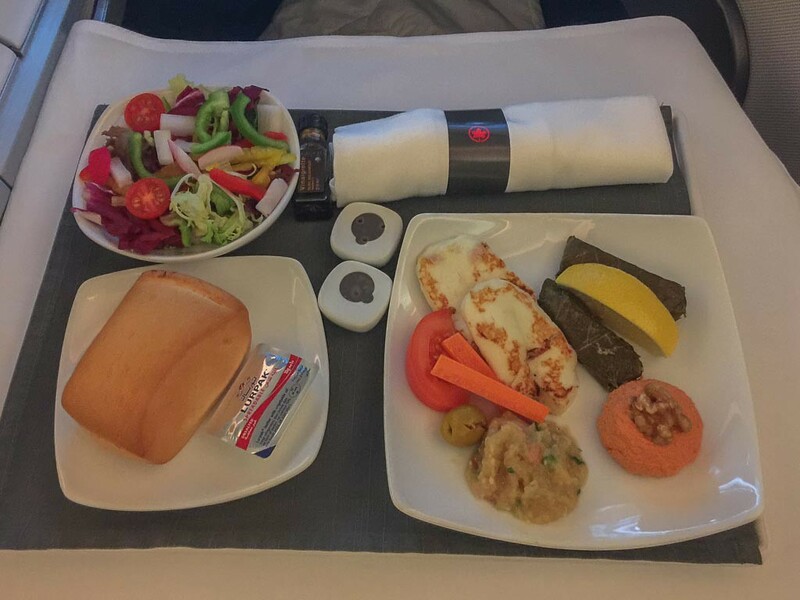 In business class you are served your meals on white linen and china plates. Your first course is an appetizer choice and tonight we have an Arabic messe place with walnut, halloumi cheese and baba ghanoush. Next came a fresh salad of mixed greens with a small bottle of balsamic vinairgrette dressing and bread. I always dip my bread in my balsamic dressing. Mmmm. Hot meals consist of choices like garlic crusted beef fillet with a thyme shallot sauce, MIddle Eastern chicken, seard cod fillet with tomato and olive ragout or a mushroom and ricotta filled ravioli. By now you are stuffed, but there's more! After each meal, flight attendants come around with a cart filled with cheese. I cannot get enough cheese so naturally I always order everything. And then, it's time to finish off with the desert of the day, ice cream or seasonal fruit. Yum! 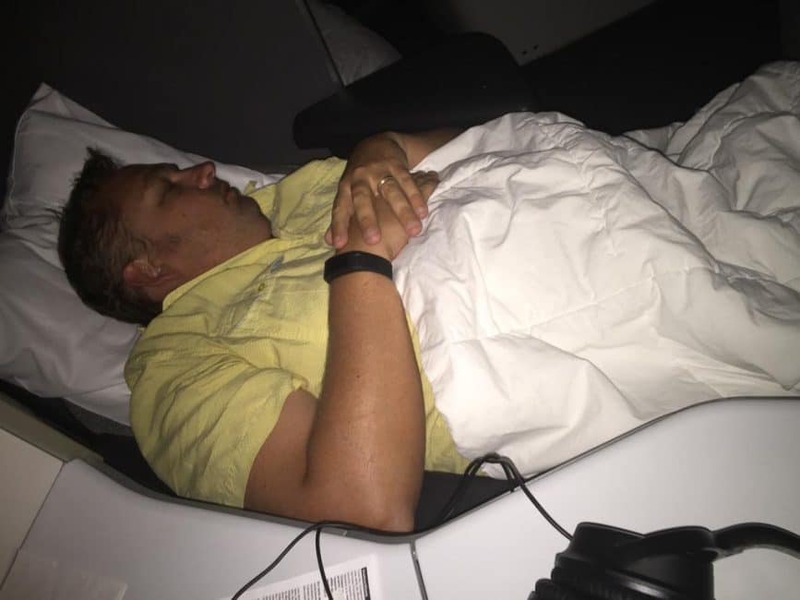 Usually I eat my meal while watching a movie and then settle into a night of sleep, but while flying in the 787 business class, I couldn't seem to catch a wink. I loved my choices of movies. I laughed and cried into my duvet. When I got the munchies, I ordered a hot snack of chicken skewers. When I went to the washroom (which you never have to wait for in business, I grabbed a chocolate bar and bag of chips. I know, this is starting to get ridiculous. I haven't stopped eating for 8 hours! It's a happy flight indeed! 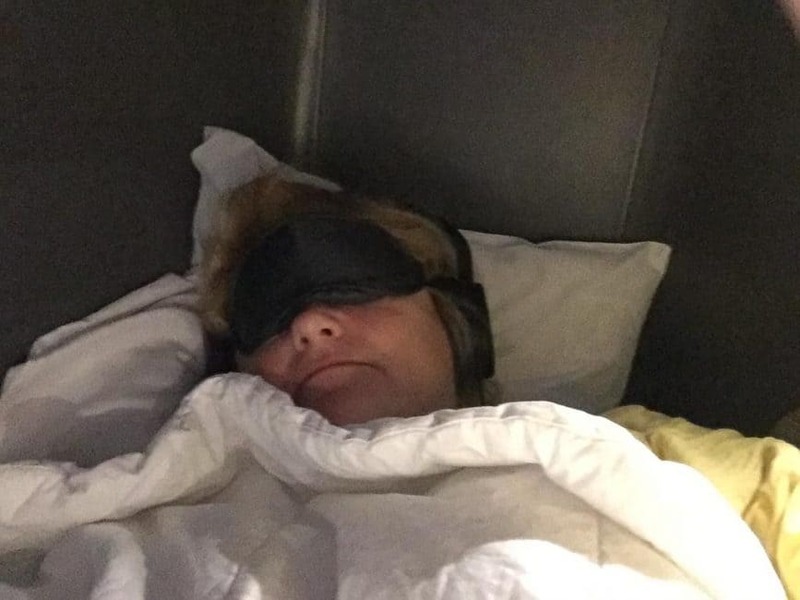 As I drifted off to sleep in my quiet little corner I stretched my legs and rolled over on my side as you can only do when flying business class. 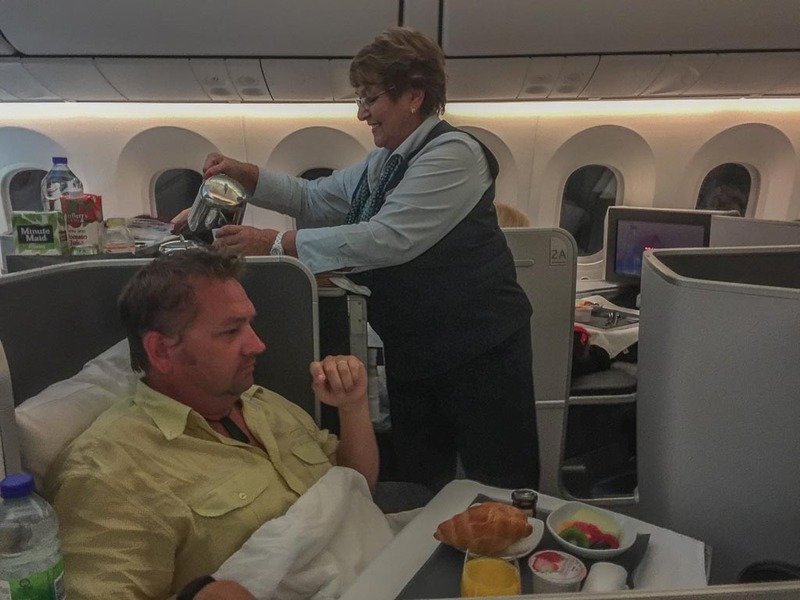 It's a life of luxury on Air Canada from Dubai and that's exactly the way it should be. When traveling to and from one of the world's most expensive and exciting cities, shouldn't you do it in style? If there is one time that you should splurge for an upgrade it should be during your travels to Dubai. Start your dream trip off right and do Dubai in Style. Our trip to Dubai was sponsored by Expedia.com as part of the Expedia Viewfinder program. You can see our full article about Dubai on their blog. « Have you Experienced Greenland? 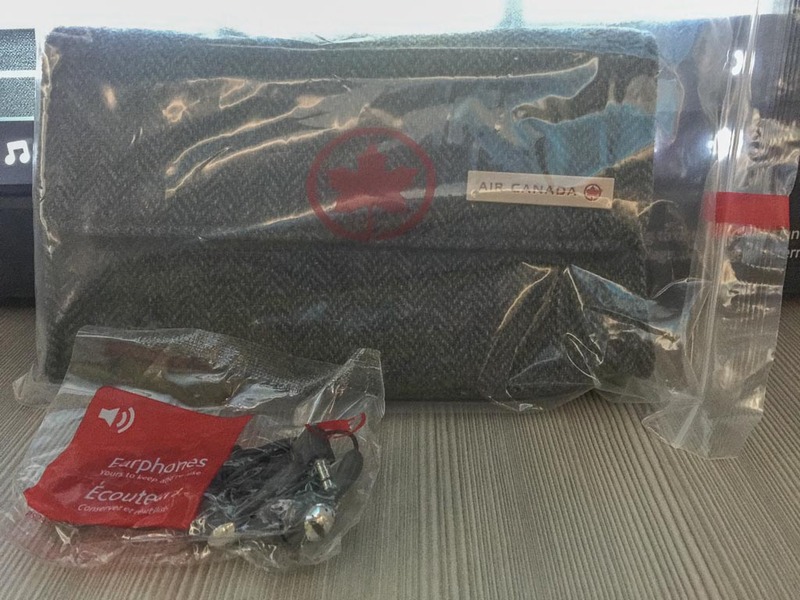 16 Responses to "Fly to Dubai in Style with Air Canada"
That’s awesome! Everything looks so beautifull and expansive. Thanks for quality content. Great! I don’t understand your comment Steve. Are you saying that EY/QR/EK has great service even in coach. That’s awesome. Great to hear that the flight attendants approach you by name as standard. That’s wonderful. And glad you have good food and wine too. So, there you have it. Your route has a good middle easter caring attitude. Well done! Now this is the way to travel!!! 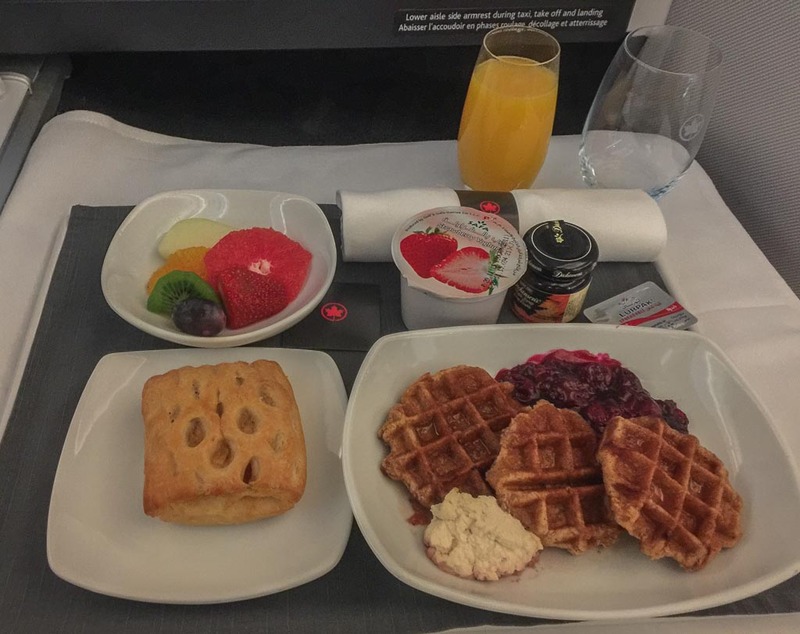 Delicious food 🙂 Yummy I learned so many things while travelling in business class. Excillent! that looks great! amazing your seats looks really very comfortable. Food is very nice. Thank you for sharing. That looks pretty good for plane food! I wouldn’t mind waffles for breakfast on a flight.